I can't help but make more of these 3D hearts, there's so many things you can do to them. 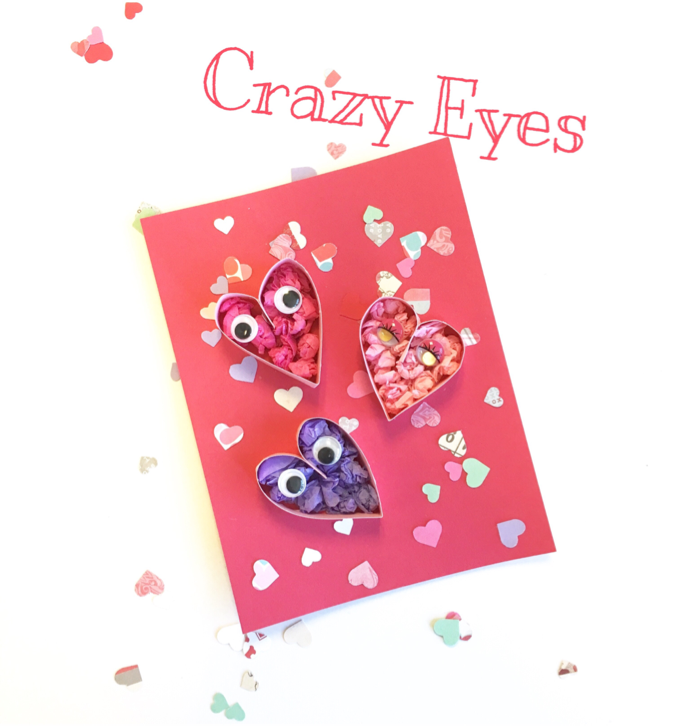 Add wiggle eyes and all sorts of features to these silly hearts. See the tutorial below, and don't forget to be creative and unique. Step 1. Cut strips of paper at about a half an inch, these will be your hearts, mine are about 6 inches long. Put glue on one side at one end and flip and glue, hold together for several seconds to ensure it will stay. Step 2. Glue the hearts to your canvas, then crumple up tissue paper to glue inside. You can paint the inside, add glitter, use pom-poms or any materials that you may already have. Step 3. Add wiggle eyes, I especially like the ones with the eyelids and lashes. 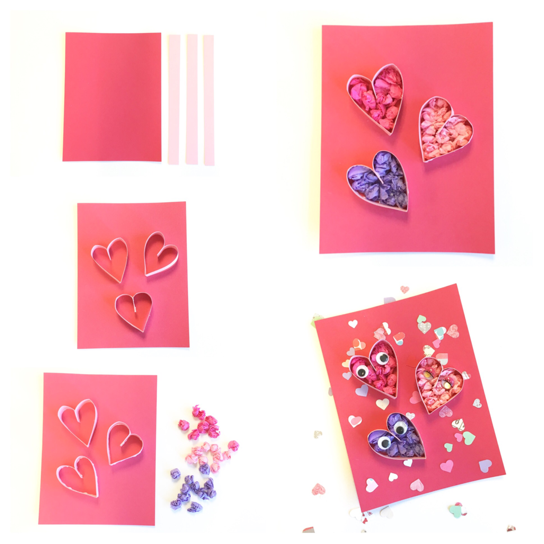 Embellish the background with small hearts, stickers, or more tissue paper.